We would love to have you join our Oil Family team and start using more natural, quality products. We have an awesome welcome gift this month, click here to learn more. Or email me if you would like to try any of these personal or home care products (samanthahud@yahoo.com)! Plus if you purchase these everyday products through your rewards order (optional but highly recommended) you get credits back to purchase your future free oils & products! 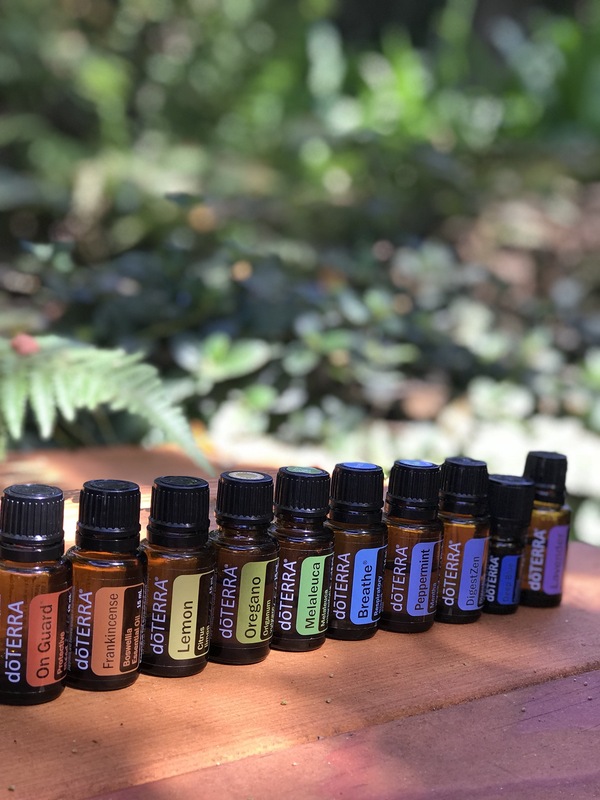 Just a highlight below of the everyday products to buy through doTERRA to replace a lot of your store bought items with high quality, natural products. In order of how you see them below: DigestTab for stomach relief as well as Digest Zen Touch roller, Home cleaner with On Guard Cleaner Concentrate, full picture of the Bathroom Cabinet makeover, Citrus Bliss Hand lotion, Deep Blue lotion for sore muscles/joints, Breathe Respiratory throat drops + On Guard Protective Blend throat drops, Serenity Calming blend “Sweet Dreams” spray, TerraShield Outdoor Blend bug spray, On Guard+ immune support soft gels, Terra Greens green powder mix (we also have a Protein mix), On Guard whitening toothpaste, On Guard Foaming hand wash and refill, Plant-based skin care line, Wild Orange + Peppermint Lip Balm, Natural Deodorant, Lifelong Vitality Pack – daily multivitamins/fish oil also available as Children’s multivitamins/fish oil, Breathe Vapor stick for when you are feeling under the weather, Salon Essentials hair care line, and last but not least the doTERRA Touch kit that will replace a good majority of your Bathroom Cabinet makeover items. The most exciting part is that they will be releasing new everyday products in September at their convention: we have heard more kid’s items 🎉, maybe even a hand sanitizer, dish detergent and maybe even some more bath products! So exciting!!! 20+ new items are coming! Please email me with any questions (samanthahud@yahoo.com) and check out more info on joining us, click here.